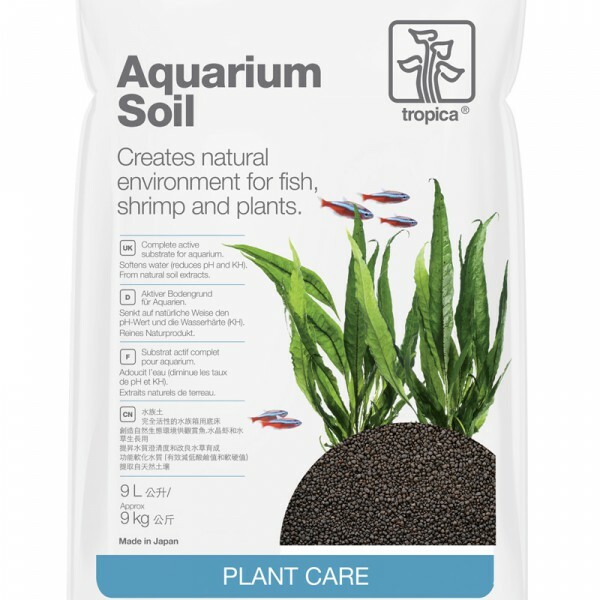 Tropica Aquarium Soil is a complete bottom layer, which can be used on it's own without any other types of bottom layer. You are not required to top with gravel or any other substrate. The grain size of 2-3mm makes it easy for planting. Aquarium Soil ensures proper growth and stimulates red colours. As a guide, use 1x 3L bag of aquarium soil per 20L of aquarium water. Aquarium Soil ensures good and active growth from the beginning, and boosts the red plant shades. It is a complete bottom layer, which can be used without any other types of bottom layer. Furthermore, Aquarium Soil is an active bottom layer that lowers the pH value and slightly affects the water chemistry in favour of plants. We recommend that you change the water minimum twice a week during the first 4 weeks after establishing the aquarium. Customer Notice: We recommend purchasing soils/substrates before purchaing plants to ensure you have enough prior to planting.